Some might be tempted to ask why it would be necessary or desirable to schedule excursions from a city as diverse and interesting as Paris. After all, doesn’t it offer enough beauty, history, unexpected wonder? Possibly even two lifetimes’ worth? 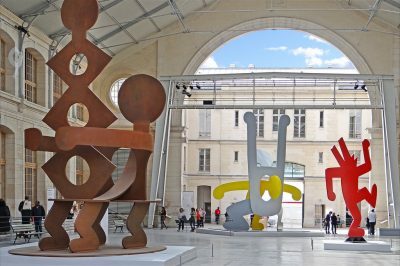 True, as detailed in my thoughts on how to decide when to visit Paris, spring and summer are often (though not always) idyllic periods in which you can really soak in the capital’s charms. So you won’t necessarily feel an itch to get outside the city walls too often. In case you do, though, here are 5 places I recommend for a short day trip from Paris, easily reached by train. They’re all budget-friendly, requiring only reasonably priced tickets on local rail lines– or in one instance, a boat. They don’t take you away from the mesmerizing city and all its lures for too long. Sometimes, you’ve just got to stage a short getaway from the city blight. Image: The Clos Normand at Monet’s gardens in Giverny/David McFadden/Some rights reserved under the Creative Commons 2.0 license. In certain moments, even an absurdly gorgeous and exciting place like Paris can get under your skin with its touches (or rages?) of urban blight. For one, there’s that persistent whiff of urine wafting up from the corner next to your hotel, and the sweaty metal poles in the metro you’re obliged to clutch, knowing full well that they’re crawling with enough exotic bacteria to produce some stomach-churning bug. Let’s admit it: the city’s no utopia, despite some beliefs to the contrary. It’s a huge metropolis, and with that comes noise, unpleasant smells, crowds, and other forms of banal big-city flaws. That’s why it can be so essential to get outside of the city for a spell. You’ll be away just long enough to take in some fresh air and quiet, recharging away from the crowds and noise. 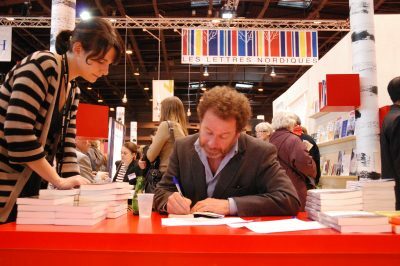 They also offer a great opportunity to see what the greater Parisian region (Ile de France) has to offer. So, without further ado, here are my top 5 getaways. The home (and constant artistic inspiration) of impressionist painter Claude Monet from 1883 until the artist’s death in 1926, the iconic house and Japanese-style gardens nestled in the small town of Giverny are a true haven, and only a short train and shuttle ride outside of the city. Spring and fall are my favorite times to visit; winter is probably best avoided since it’s imperative to see the landscapes in their colorful, sumptuous full bloom, or during the fall when reds and oranges from deciduous trees play on the water. Exploring the vast gardens, framed by towering, poetic willows and punctuated by immense ponds filled with nympheas, or water lilies– ones Monet would paint repeatedly in large-format tableau series— is something I associate with joyful moments. Dahlias foreground Monet’s house at Giverny. Image: Painting by Norman Vance, 2008. Most notably: I brought my late, beloved grandparents here when they were both in their late ’70s, and that trip is indelibly etched in my mind. I watched my grandfather, a talented and ambitious but commercially unsuccessful painter, smile with tears welling up in his eyes at the fact of finally seeing firsthand a place he had admired for so many years in paintings. 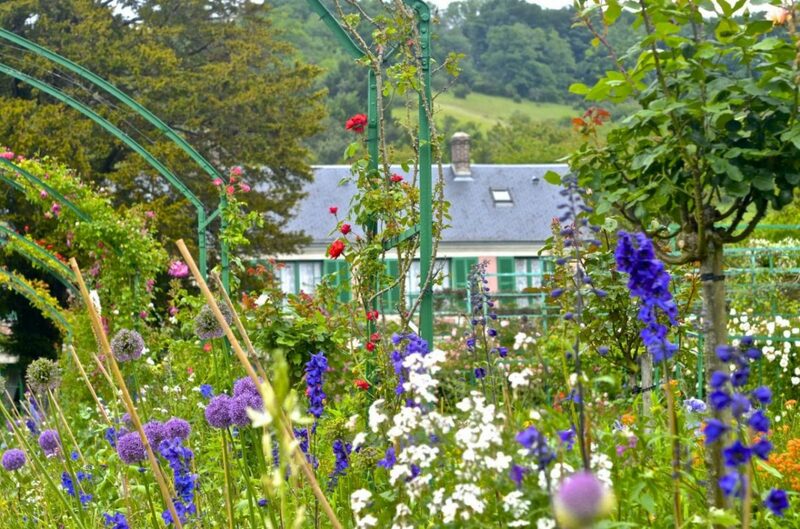 For him, visiting the gardens at Giverny and exploring Monet’s house filled with memorabilia and objects of artistic inspiration was unthinkably wonderful, because he had believed he’d never live to make the trip. He went on to paint several (impressionistic) scenes of the gardens, but unfortunately, the only image I have on file is this small and badly pixellated one at left, of dahlias and cheerful yellow blossoms outside Monet’s green-shuttered house. It doesn’t do justice to the rich quality of the original, of course, but it gives an idea of what he was going for. I still think of him, his eyes glistening with tears, as he stood with the support of his cane on the green Japanese-style bridge overlooking the water lilies. It’s an image that never fails to make my own eyes well up. 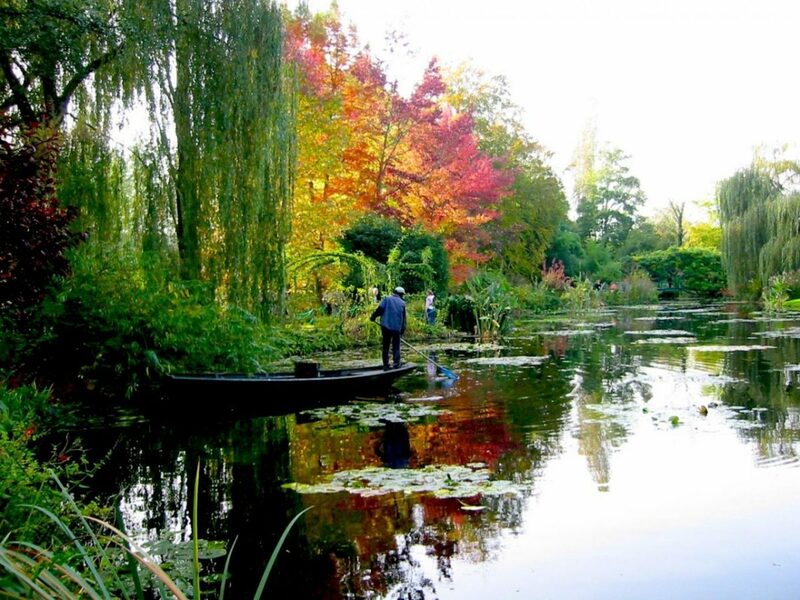 What to See at Giverny? Pivoting back to more practical matters: While I personally find the gardens to be the most important draw card at Giverny, the house is worth a visit, especially for Monet’s collection of Japanese prints and quirky furnishings; the adjoining museum dedicated to American painting has an interesting collection, too, if time allows. I also recommend getting outside of the gardens and having lunch in the cute little town itself, which is located at the very edge of the Normandy region. 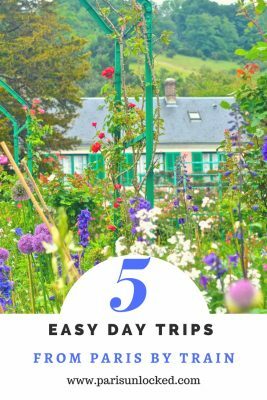 The easiest way to get to Giverny and Monet’s gardens is by train. From the Saint-Lazare train station (follow the signs from the metro to the “SNCF-Grandes Lignes” exit), take the regional train line Paris/Rouen/Le Havre to the Vernon-Giverny stop. From there, shuttles leave regularly for the gardens. The entire trip takes around an hour and a half, and isn’t terribly expensive. For more practical information, including current admission prices, visit the official website. The second short trip away I wholly recommend is to Provins, a UNESCO World Heritage site that offers one of the most well-preserved examples of medieval fortifications in Europe. This is a town that hardly gets any attention in your average guidebook, but in my sense it’s one of the most interesting, and prettiest, places in the Paris (Ile-de-France) region. As with all the other places listed here, spring and fall are the best time to go, but a winter trip won’t hurt, as long as it’s not too rainy out. What to See in Provins? 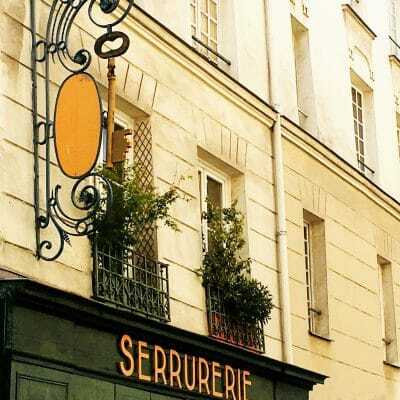 Exploring the city takes only about three hours– five if you stop for a long, French-style lunch. Make sure to see the dramatic Caesar Tower, dating to the 9th century and a powerful symbol of the old noble families of Champagne. Exploring the realistically furnished rooms with fireplaces, as well as the creepy dungeon, is fascinating. In the spring (generally from late March), Provins comes fully alive with medievalist festivals complete with jousting matches and elaborate costumes, craft fairs, and traditional town processions featuring banners inscribed with regional codes of arms, offering a glimpse into local traditions that have scarcely changed over hundreds of years. Rose products are also proffered everywhere during the spring and early summer– a perfect time to stock up on perfumes, jams, honey or potpourri full of the stuff, for those who enjoy the scent or flavor. Oh, and my partner, who happens to be a scholar of medieval literature, wishes for me to add that you might also procure a decent bottle of Hippocras– a traditional wine flavored with spices and sugar, in town. From the Paris Gare de l’Est regional train station, take the train to Provins (there are several daily); consult schedules at sncf.fr. ParisCityVision also offers a day trip to Provins that includes shuttle transport to and from central Paris, priority entrance to main attractions, and a ticket to the “Eagle on the Ramparts” theme show. For more practical info, transport options and details on current and upcoming events you can visit the town’s official website. Chateau Vaux-le-Vicomte doesn’t get even a sliver of the press Versailles does– but it’s arguably more harmonious and romantic. Image: @lain G/ Some rights reserved under the Creative Commons license. It gets only a sliver of the attention that Versailles does– but Chateau Vaux-le-Vicomte, which in fact inspired the more famous, significantly larger château and gardens, is a true masterpiece of 17th-century French architecture. While much smaller than Versailles, Vaux-le-Vicomte and its gardens arguably represent a more harmonious, less garish and more romantic version of the Louis XIV style. This is true of the lovely formal gardens, which include the perfectly proportioned assembly of fountains, parterres, water basins and gravelled paths designed by Le Notre. It’s also got a juicy history behind it. Commissioned by the Marquis Nicolas Fouquet, a friend to the French playwright Molière and fervently loyal to King Louis XIV (the “Sun King”), Fouquet’s intention, in ordering the construction of the Chateau Vaux–le-Vicomte, was to flatter and win the favor of the king by achieving new heights of luxury and grandeur. He reportedly razed three local villages and hired some 18,000 workers to have it built, commissioning Andre Le Notre and Louis le Vau to come up with the layout and design– who would later go on to design much of Versailles and its vast gardens. On the night of the earlier Chateau’s inauguration, pomp and circumstance was at full throttle. One of Moliere’s plays was performed to celebrate the occasion, and lavish, expensive fireworks filled the skies. Sadly, one of Fouquet’s arch nemeses, a certain Jean-Baptiste Colbert, fed Louis XIV information falsely suggesting that Fouquet had misused public funds to build the new château. Fouquet was promptly arrested, his rival taking his place as superintendent of finances. His plans to impress the Sun King had entirely backfired– an episode that the satirist Voltaire would later document in one of his essays. 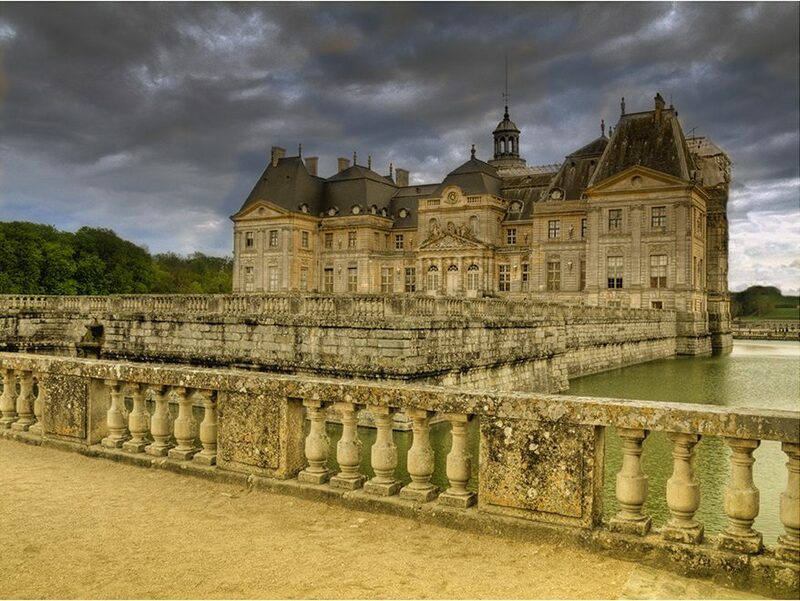 Vaux-le-Vicomte is only 35 minutes away from central Paris– far closer than Versailles. There is an easy direct train from Paris Gare de L’Est station (the same one, line P, that heads to Provins). The stop is the Verneuil l’Etang station. Once at Verneuil, look for the signs to the “Châteaubus” shuttle service. Only cash is accepted by drivers for the shuttle– I advise making sure you have some before boarding the train in Paris. 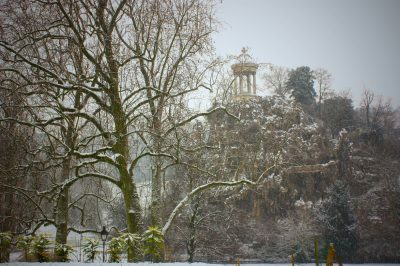 Annual closures: Note that the château is habitually closed through most of November, January and February. Check the official website for opening times, ticket prices and other detailed practical information. 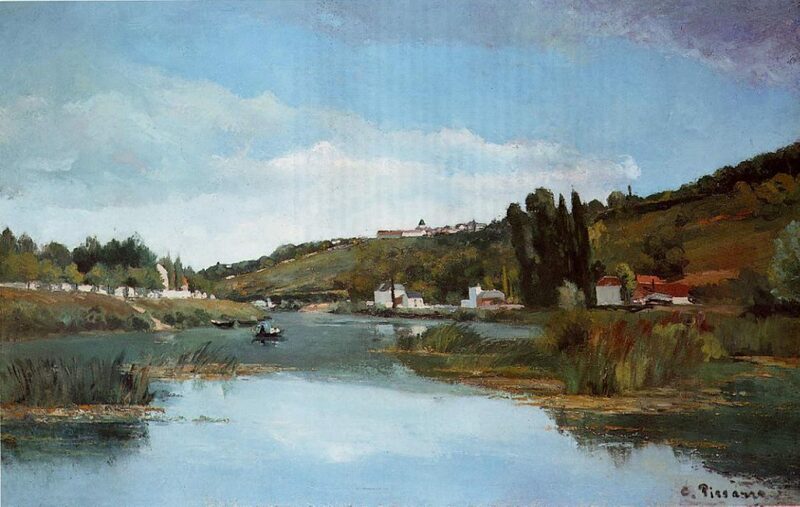 Camille Pissarro, The Marne at Chennevieres, circa 1864. National Gallery, Scotland/public domain. 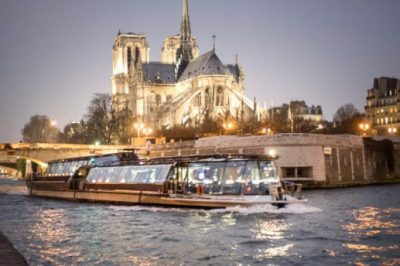 Most tourists are aware that boarding a “Bateau-Mouche” on the Seine can be a relaxing way to get some reprieve from walking around everywhere. The cruise that I recommend the most, however, isn’t on the Seine, but on the Marne river– whose graceful green banks and “guinguettes” (musical cafes dotted along the riverside) were documented by impressionist painters including Camille Pissarro (his painting is pictured above), Sisley, Caillebotte and Monet. One trip a few years ago with a bunch of friends on a weekend cruise organized by the company Canauxrama was all I needed to be sold on the Marne’s myriad charms. The cruise started in Paris, near the Bastille Opera. The boat wended through eastern Paris, through the old lock systems of the Canal St-Martin, until we left the metropolitan zone and were suddenly surrounded by lush, green banks and countryside air. We had a glass of champagne on board, then a picnic on a grassy riverbank before resuming the cruise. There was something timeless about the trip that made the worldview of some of my favorite impressionists seem, suddenly, much more vivid. To book a cruise with Canauxrama and view details on prices as well as a sightseeing map, see this page. Lunch at a riverside restaurant called Chez Gégène is optional– I’d suggest packing a picnic instead, weather permitting. The photo ops on this cruise are very good, too, so make sure to bring a camera. Spring or summer is definitely ideal for this particular day trip. Once royal hunting grounds. 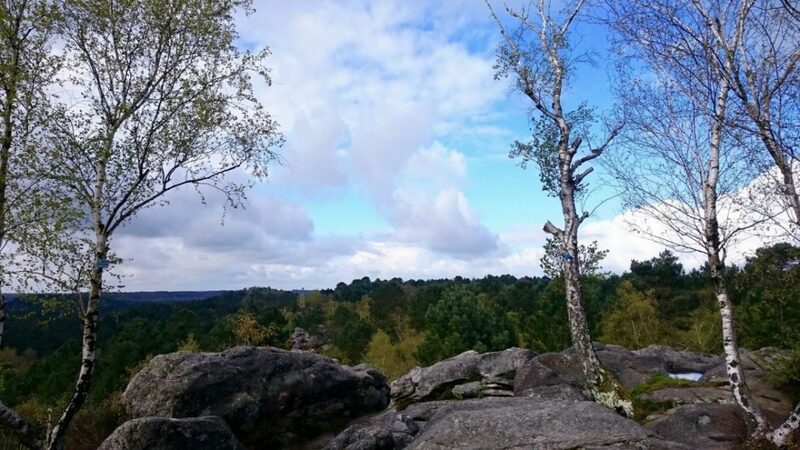 the Foret de Fontainebleau is a favorite place to hike and rock-climb outside of Paris. Mickaël T./ Some rights reserved under Creative Commons. Last but not least on my list: the forest and château at Fontainebleau, another under-visited green space in the Ile-de-France region that tourists would do well to discover. The rocky landscapes of the enormous (but admittedly rather tame) forest, which once served as royal hunting grounds, attract both hikers and rock climbers. It offers welcome expanses of greenery and fresh air to walkers eager to escape the city pollution for a day. 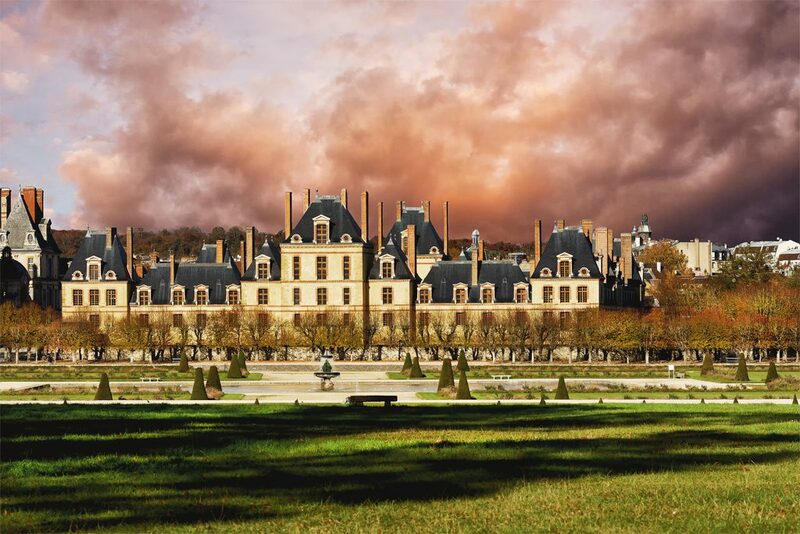 The Chateau at Fontainebleau under dramatic skies. Image credit: Henry Marion/Some rights reserved under the Creative Commons 2.0 license. Meanwhile, the Chateau has 1,500 rooms, and has been a country residence to French kings and Emperors from the 11th century to the 19th. Emperor Napoleon I was a great admirer, basking in the grandeur and pomp of it all, though he never lived there. Napoleon III was the last ruler to occupy the Chateau during the Second Empire, before France finally threw off royal and imperial rule. To get to Fontainebleau, the easiest option is to take the regional SNCF train from Gare de Lyon. You can take either the Montargis Sens, Montereau or Laroche-Migennes lines. Get off at the Fontainebleau-Avon station, then take the ‘Ligne 1’ bus with “Lilas” as its final destination. Your stop is simply called ‘Château’. For detailed information on how to get to the forest and learn more about the walking trails there, see this page. If so, and particularly if you’re coming from overseas, it’s always wise to compare deals and book well in advance. Search for the best deals on flights and hotels (via Skyscanner) and book train and Eurostar tickets (via RailEurope). I loooove these! I’ve always wanted to visit Giverny in Spring time and fingers crossed this year will be it! All those other trips look incredible as well. I love Paris, but I’ve been there almost a dozen times so I think it’s time to branch out a little. great post! Very tempting ideas. I want to take that trip on the Marne. Nice piece. Thank you! Yes, the trip on the Marne can be really lovely, especially in the spring. I was astounded at how green and countrified the banks of the Marne are– and of course, when you’re a fan of the Impressionists, seeing the landscapes and “guinguettes” (musical riverside cafes) that inspired so many of their paintings is moving.